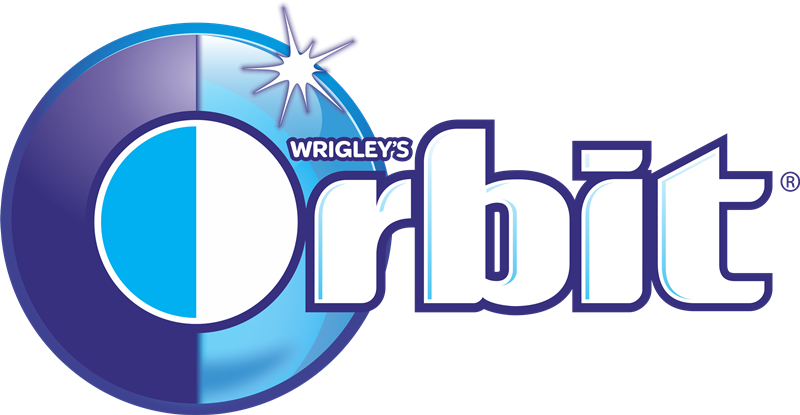 Orbit White Bubblemint is a sugar-free gum proven to help remove stains and whiten teeth when you chew two pieces after eating and drinking (Based on an 8-week clinical test). SORBITOL, MALTITOL, GUM BASE, ACACIA, NATURAL AND ARTIFICIAL FLAVORS: LESS THAN 2% OF: GLYCEROL, MANNITOL, SOY LECITHIN, ASPARTAME, ACESULFAME K, COLORS (TITANIUM DIOXIDE, RED 3), SODIUM BICARBONATE, CARNAUBA WAX, BHT (TO MAINTAIN FRESHNESS). PHENYLKETONURICS: CONTAINS PHENYLALANINE.